Have you ever walked into a room when someone is pealing an orange and detected the familiar orange aroma wafting through the air? What you are smelling is the natural essential oil that is housed within the rind of the orange. It is the rinds of citrus fruits that gives them their highly aromatic and familiar aroma. Although the majority of commercially available essential oils are extracted from the original botanical material by use of steam distillation, most commercially available citrus essential oils are extracted by cold pressing the rinds of the citrus fruits. The next time that you eat an orange or a grapefruit, take a portion of the peel and squeeze it in half ensuring that the colorful side of the peel is on the outside. If the fruit is fresh and healthy, you should notice that the rind squirts a tiny quantity of an aromatic fluid. That fluid is the essential oil. Citrus Essential Oils are often thought of mostly for light, summery aromas, but I love using citrus essential oils all year round. My use of the citrus oils increases during the colder months as they are energizing and help to uplift the spirits. They are the perfect complement to blends that fight off the winter blues, "cabin fever" and depression. For Winter Blues recipes, visit AromaWeb's Winter Blues Recipe page. Important: The phototoxicity of certain cold pressed citrus oils needs to be carefully kept in mind when planning topical use of particular citrus oils. For more information regarding phototoxicity, read Essential Oils and Phototoxicity. Below are brief descriptions of the aromatic properties of each of the citrus oils. Each oil also offers some benefit for topical application, i.e. when used prudently and mindfully regarding its phototoxicity, Bergamot can be helpful in controlling oily skin and acne. To learn more about each of the citrus oils, click on the associated links for each oil to be taken to the oil's essential oil profile. Please note that the aromatic descriptions presented pertain to the cold pressed versions of each citrus oil. Aromatically, most individuals tend to prefer the cold pressed oils, but steam distilled oils have the advantage of not posing a risk of phototoxicity. Sweet Orange Essential Oil, often simply referred to as Orange Essential Oil or Orange Oil, is readily available and is amongst the most inexpensive of all essential oils. Orange Essential Oil aromatically blends so well with other citruses and most all other essential oil types including floral, spice and mint oils. Orange Essential Oil is energizing and is usually well loved by men, women and children. It has few contraindications when diffused in moderation making it one of the first choices to consider when selecting an oil to diffuse around a diversity of individuals. Orange Essential Oil is becoming widely used and included in commercial cleaners as it can help to naturally cut grease (though beware of a lot of commercial cleaners as they can still also include significant levels of synthetic fragrance oil and color to give consumers the illusion that the product contains more natural essential oil than it actually has). The blood orange is considered a variety of sweet orange. Blood Orange Essential Oil can be used in the same applications as Sweet Orange Oil. It has a lovely aroma that is a bit tarter and more complex than Sweet Orange Oil. As the name implies, Bitter Orange Essential Oil has a bitter orange aroma reminiscent of a cross between the sweetness of sweet orange oil and the slight bitterness of grapefruit oil. Although it's favored by some individuals, I have less experience in use of this particular oil as I personally tend to lean towards using sweet orange, grapefruit and the other citrus oils. Cold pressed Bitter Orange Oil is phototoxic. Lemon Essential Oil has a powerfully fresh traditional lemon fragrance that is quite energizing and uplifting. Lemon Essential Oil is a good choice to diffuse when trying to clear a room of the smell of cigarette smoke or other unpleasant aromas. Cold pressed Lemon Oil is phototoxic. Lemon Essential Oil is sometimes available as a steam distilled oil. Limonene is the naturally occurring chemical constituent within Lemon Essential Oil that gives it its distinctive lemony aroma. There are a few other non-citrus essential oils available that include limonene naturally and feature a lemony aroma. Lemongrass and Lemon Myrtle essential oils both include noteworthy concentrations of limonene. With the exception of floral Neroli Essential Oil, cold pressed Lime Essential Oil is the most aromatically potent of the fruity citrus oils, in my opinion. A little goes a long way. It is so fresh and bright smelling and adds a nice complexity to other aromas. Including a few drops of Lime Essential Oil is a must when I create citrus blends for my diffuser or for when creating room mists. Lime Essential Oil is well known in folklore for its ability to cleanse, purify and renew the spirit and the mind. It is also said to be effective in cleansing the aura. Cold pressed Lime Oil is phototoxic. Lime Essential Oil is sometimes available as a steam distilled oil. Not everyone enjoys the flavor of eating grapefruit segments, as grapefruit is known for its bittersweet, tart flavor. Grapefruit Essential Oil, however, although still possessing slightly tart characteristics, is sweet-smelling, bright and uplifting. It is quite an energizing and uplifting oil and is wonderful to diffuse in the mornings or while working out to help awaken and energize me. Cold pressed Grapefruit Oil is phototoxic. Bergamot Essential Oil is amongst the more expensive of the cold pressed citrus oils, but is well worth the cost. Its aroma is reminiscent to that of orange, but it is more complex and almost has an underlying floral characteristic to it. It can be helpful in use during periods of depression and is known for its ability to help combat oily skin and acne. Though because it is highly phototoxic, it must be used with care on the skin and avoided when exposed to the sun or UV rays. Bergaptene is the naturally occurring chemical constituent found in Bergamot Essential Oil that makes the oil so highly phototoxic. Varieties of Bergamot Essential Oil are available that have the bergaptene synthetically removed. Bergamot Essential Oil is sometimes available as a steam distilled oil. Mandarin Essential Oil is a favorite of children and parents. Of all the citrus oils, Mandarin Essential Oil is the sweetest and tends to be the most calming. If desiring to use a citrus oil in the evenings before bed or with children, this is usually the best choice. Tangerine Essential Oil is fresh, sweet, citrusy and is similar to the brighter aroma of tangerine peels (as compared to orange peels), but has a more concentrated, intense aroma than does Sweet Orange Essential Oil. Though steam distilled from the same botanical species as neroli and bitter orange, Petitgrain Essential Oil possesses its own characteristically unique aroma. Petitgrain Essential Oil is distilled from the leaves and sometimes the twigs and branches of the tree whereas Neroli Essential Oil is distilled from the blossoms and Orange Essential Oil is typically cold pressed from the rinds of the fruits. The most costly of citrus essential oils, Neroli Essential Oil is steam distilled from the fragrant blossoms of the orange tree, Citrus aurantium. Neroli Essential Oil is intensely floral, citrusy, sweet and exotic and is most often categorized as a floral essential oil instead of as a citrus. It is highly concentrated and is amongst the more rare and costly of essential oils. A little goes a long way and the complexity of the aroma is best detected when enjoyed in very low dilutions. The aroma of Yuzu Essential Oil resembles a combination of mandarin and grapefruit. It makes it a good candidate for uplifting diffuser blends intended to help with anxiety, depression and nervousness. As mentioned, my focus within this article is in focusing upon the use of citrus essential oils for diffusion and room fragrancing applications. When creating blends and topical products that you apply to your skin, remember that in addition to phototoxicity concerns for cold pressed lemon, lime, grapefruit, bitter orange and bergamot oils (See AromaWeb's Phototoxicity and Essential Oils article), citrus essential oils can cause skin irritation if used without properly diluting them or when using oils that have oxidized. For more information, see AromaWeb's Essential Oil Safety article. The rinds of conventional (non-organic) citrus fruits are typically sprayed heavily with pesticides. Because of the cold pressed methods generally used to extract citrus oils, the resulting essential oils can contain trace amounts of pesticides. Whenever possible, purchase organic citrus essential oils. This becomes especially important when using citrus oils in topical applications or when frequently diffusing citrus essential oils. For applications in which you aren't actively breathing in the aroma for more than a moment or two, the need for organic is reduced, but still, choosing organic remains the ideal. 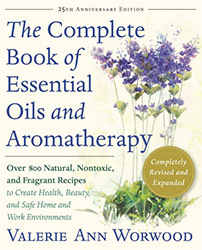 Although the food and flavoring industries do use citrus essential oils to flavor particular foods and beverages, it is important to consult with a qualified aromatherapy professional or first study and procuring an adequate and well-rounded knowledge of aromatherapy before ingesting essential oils. Bear in mind that the food and flavoring industries create huge batches and the amount of oil that winds up being ingested per individual serving is minuscule. Become intimately familiar with Essential Oil Safety. Essential oils are best treated like medicines and some essential oils can be toxic or fatal if misused. For more information, see Internal Use of Essential Oils.